LONDON (VIP NEWS) –Live Nation is set to acquire festivals and venue operator MAMA & Company, according to a report. Earlier this year, MAMA appointed global business advisors AlixPartners as it mulled its options following two unsolicited bids for the firm. According to reports AEG Live was also in the running but was outbid by Live Nation at the last minute, with the deal expected to be completed in August following due diligence. 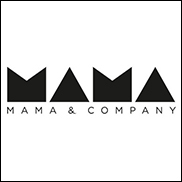 A spokesperson for MAMA, which was subject to a £7.3 million management buyout from HMV in 2012, backed by Lloyds Development Capital (LDC), declined to comment on the rumors when approached by Music Week. LDC said that it would not comment on speculation, while Live Nation has not responded to requests for comment so far. Former CEO and co-founder Dean James led the 2012 management buyout before leaving the company last year. He was succeeded at MAMA by Rory Bett, previously the firm`s commercial director.